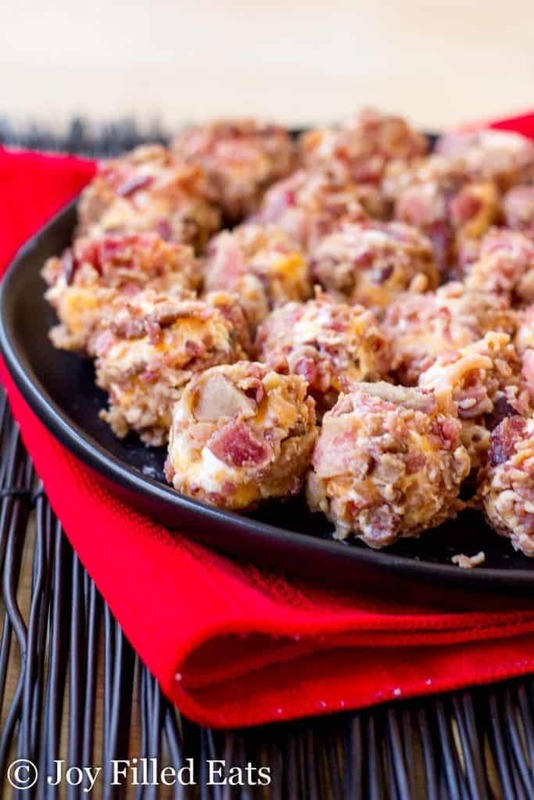 If you need a quick and easy appetizer stop right here. 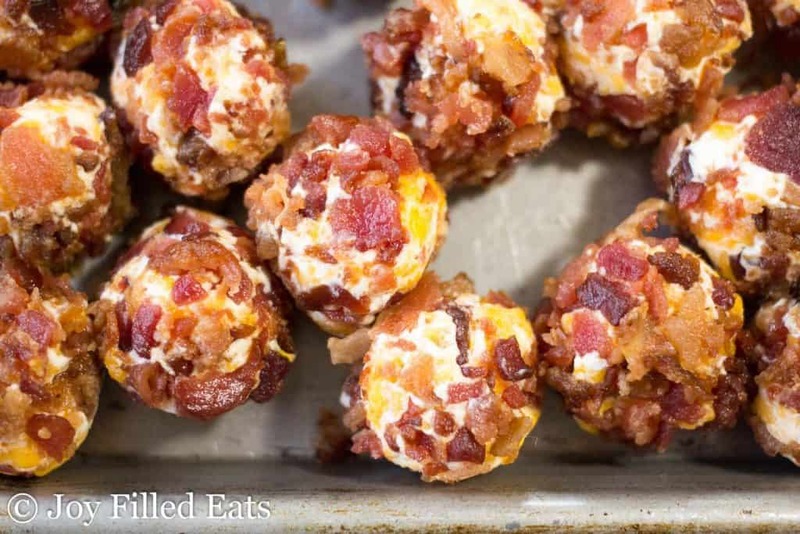 My Bacon Cheddar Mini Cheese Balls have only 3 ingredients but a ton of flavor. They come together in just 5 minutes. I love cheese. There have been a couple times in my life I have given up dairy for a brief period if time. It is so difficult to not eat cheese. I really do miss it and I’m glad those periods of time were short. 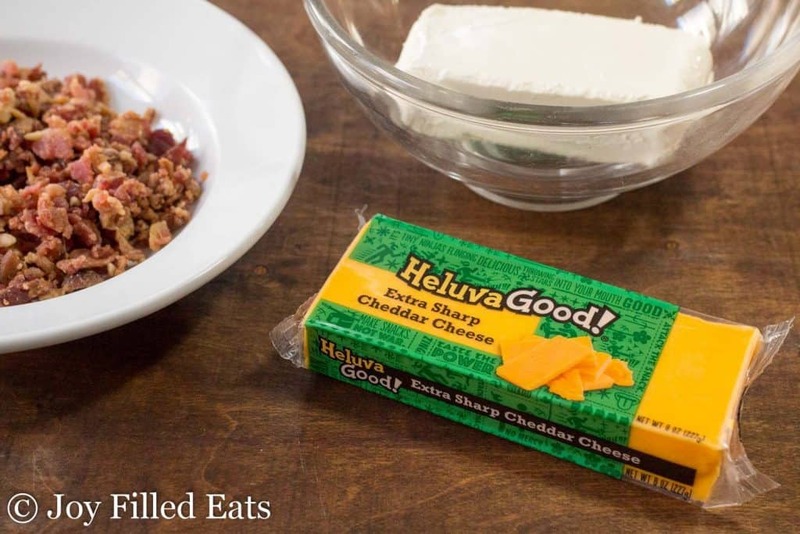 My whole family likes to snack on Heluva Good!® block cheese. It’s easy to slice it up and serve with salami, pepperoni, and crackers. 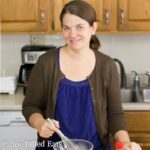 I also use it in many of my recipes such as my Hot Cheddar Onion Dip. My cousin will cut cheddar into little chunks and put them on a toothpick with a grape tomato and green olive. They are the perfect bite with that myriad of flavors. Heluva Good! is a great source of protein and calcium and is naturally gluten-free. I also love bacon. So when I was asked to create a new recipe for Heluva Good! Cheese blocks I knew I wanted to pair bacon with their extra sharp cheddar cheese. And I knew I wanted it to be a quick and easy appetizer. This time of year is especially busy. There have been times I am asked to bring an appetizer to a party and thirty minutes before I’m staring into the fridge wondering what to make. 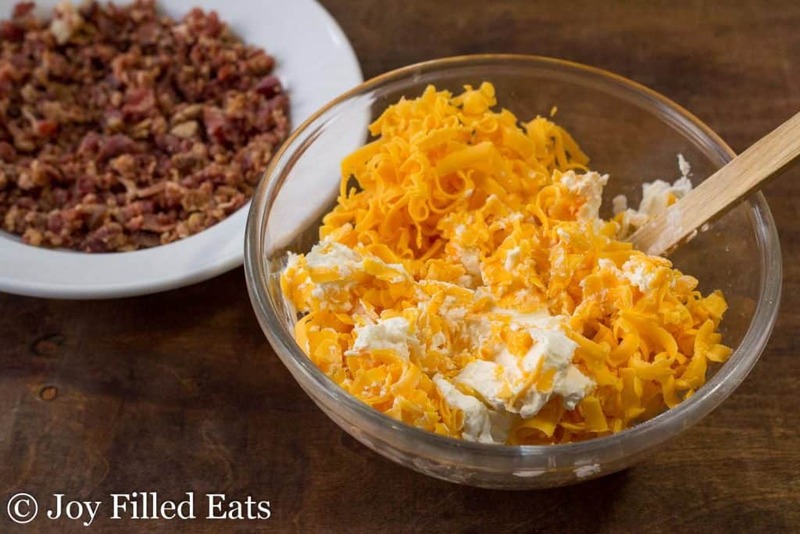 I always have chunks of cheese, cream cheese, and bacon crumbles. Always. This is a great last-minute app for my family. I buy Heluva Good! for my family at my local Walmart. It is nice to have a store with a grocery in addition to clothing, household goods, and more. I like the one-stop convenience of shopping at Walmart. There is currently a promotion for Heluva Good! on Ibotta. Make sure to take advantage of this offer before all the rebates are claimed. There isn’t an expiration date but there is a limited number of rebates available. You can use any of the Heluva Good! cheese blocks in these mini cheese balls. If you like spicy food I bet the Pepper Jack would be great! 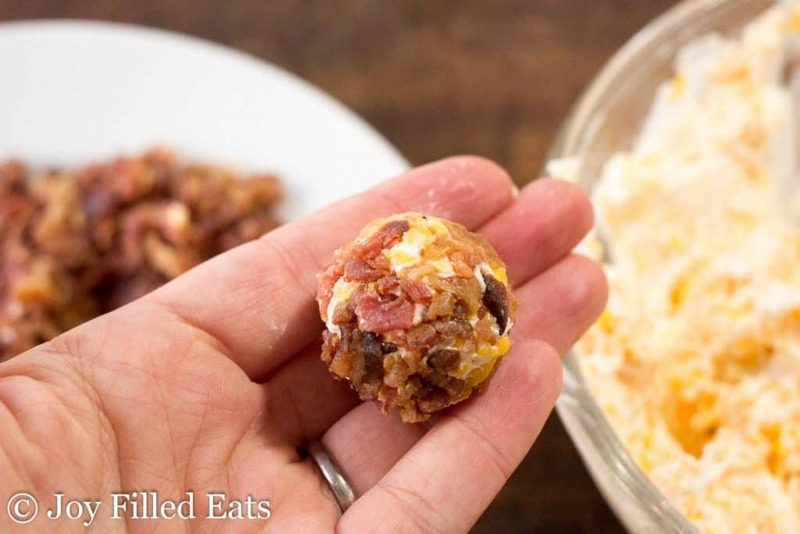 These cute little bite-sized mini cheese balls are kid approved. My kids gobbled them up. 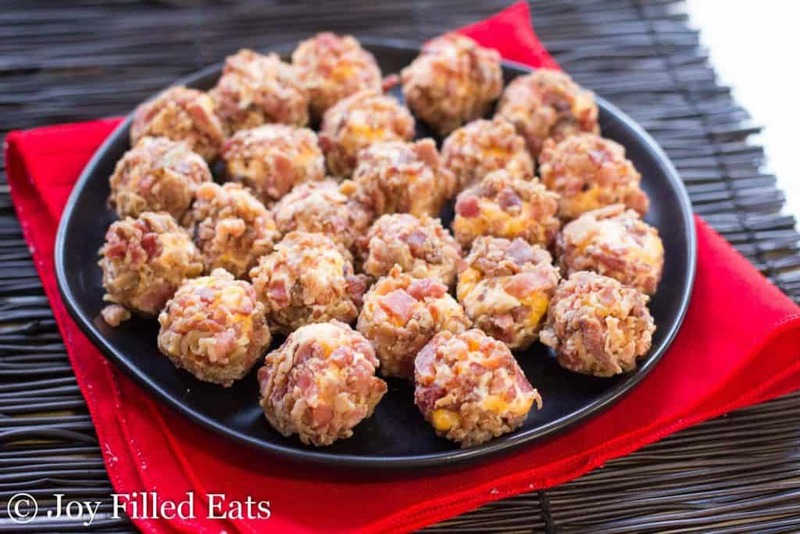 If you need a healthy, easy appetizer for a family gathering try this recipe. Microwave the bacon crumbles for about thirty seconds. This crisps them up so they taste fresh. (If you do not have a microwave you can just skip this step or pan fry them for a minute or two). Stir together the cream cheese and shredded cheddar. 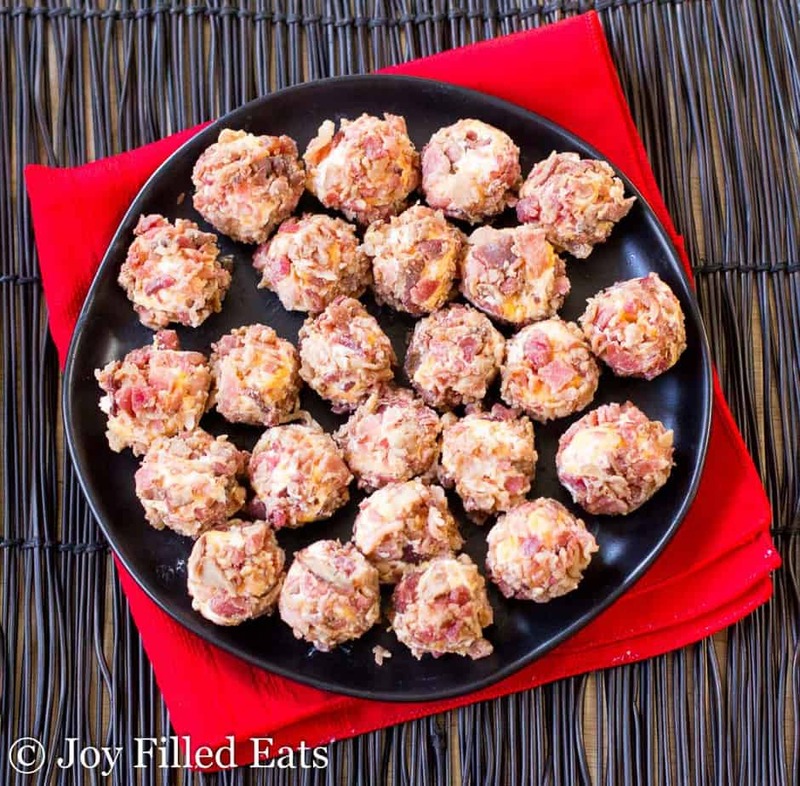 Use a small cookie scoop to scoop tablespoon sized balls. 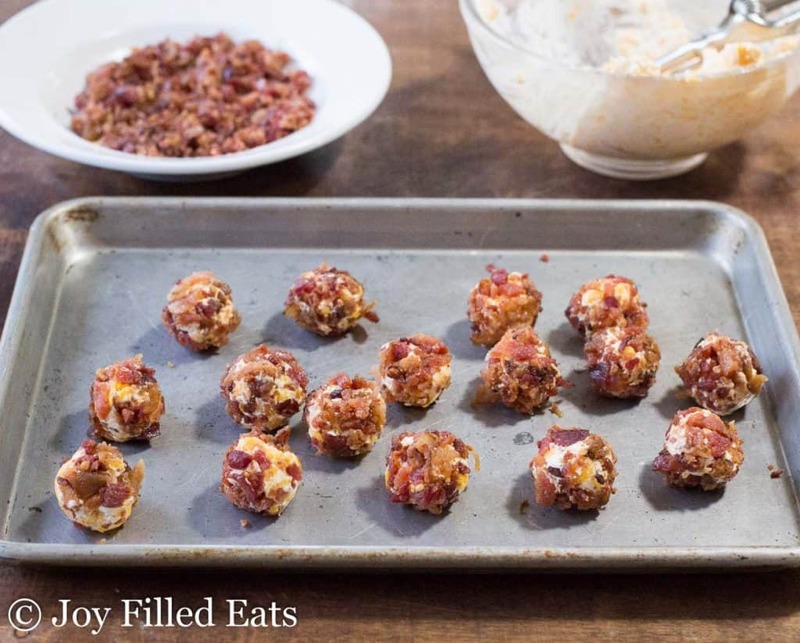 Roll them in the bacon crumbles. Serve immediately or refrigerate for later. This makes about 30 mini cheese balls. A cute way to serve these for a party is to put a thin piece of carrot or celery in them. Then guests can just pick them up and pop them into their mouths. Toothpicks work too! 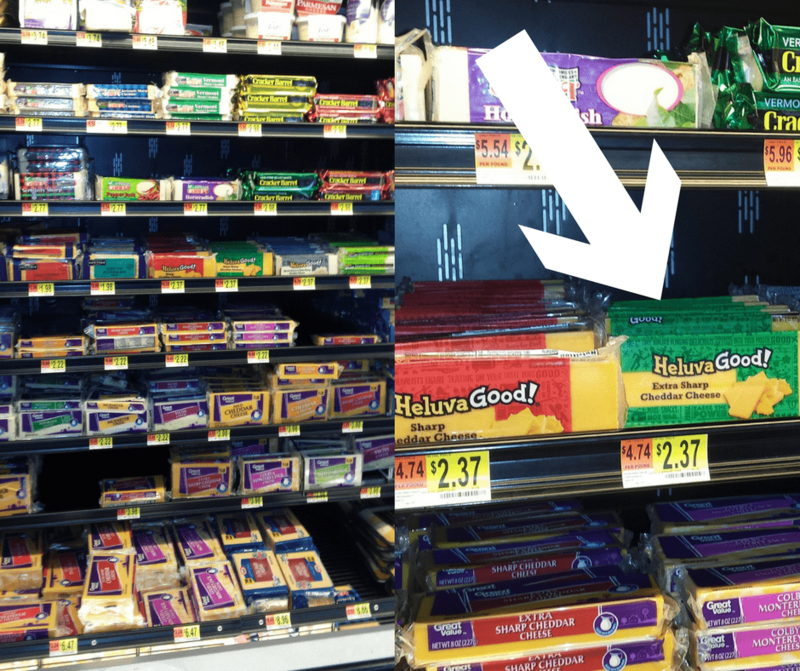 You can find Heluva Good! Cheese in the dairy aisle of your neighborhood supermarkets in New York (New York, Syracuse, Buffalo/Rochester, Albany), Pennsylvania (Pittsburgh, Harrisburg/Scranton, Philadelphia), Connecticut (Hartford), Massachusetts (Springfield, Boston), Ohio (Cleveland, Columbus), Rhode Island (Providence), Florida (Tampa/St. Petersburg, Orlando), Virginia (Roanoke), Maryland (Baltimore), Washington D.C. Dice some jalapeno peppers and saute them then mix with the cream cheese/cheddar cheese. 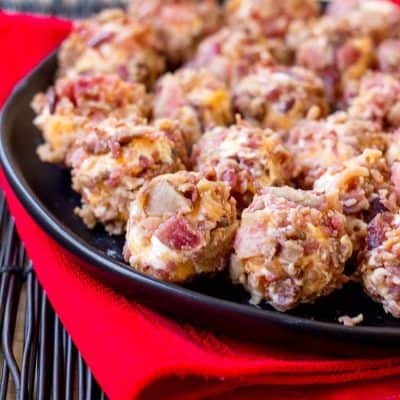 You'll have jalapeno poppers! Thanks for the recipe and the inspiration! Do these go good with soup? Can I make these a week ahead of time? Last question, can I fry up bacon and cut it into small pieces for the crumbles? These are more of an appetizer than a side for soup. You can make them a week ahead but the bacon on the outside might get soggy. But, yes you can make crumbles from fresh bacon. So how much bacon do I need for 2 cups of crumbles? Omg, I just made these, and they are the “bomb”. Great recipe! I only a tad of finely chopped green onion. Thanks! Delish. I don't think so. They are primarily cream cheese and cream cheese can get a little funky when frozen. We like to eat sliced green peppers drizzled w/italian dressing. 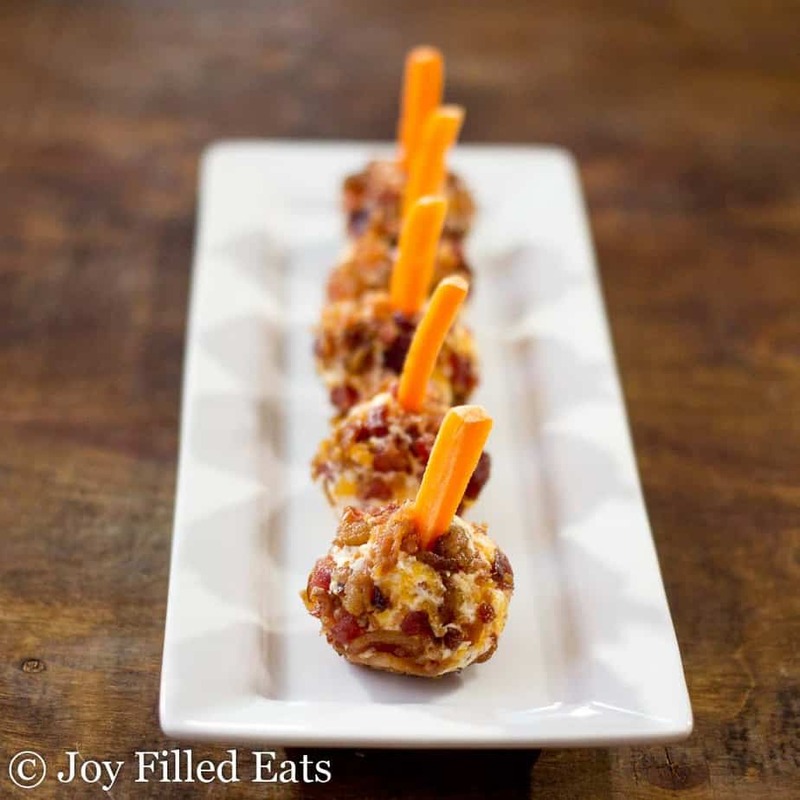 So for our Super Bowl party, we made these cheeseballs and set them atop our green peppers. Yum! Thanks for sharing!